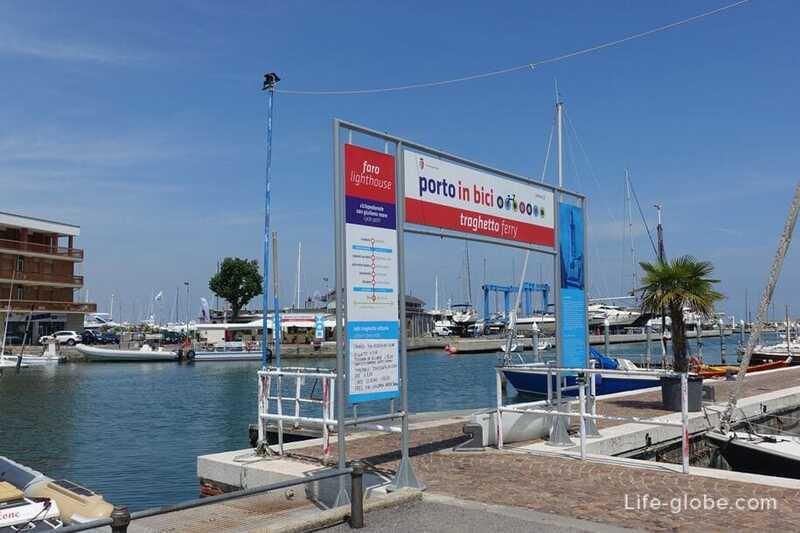 The port of Rimini (Porto Canale di Rimini) is one of the most vibrant places in Rimini. 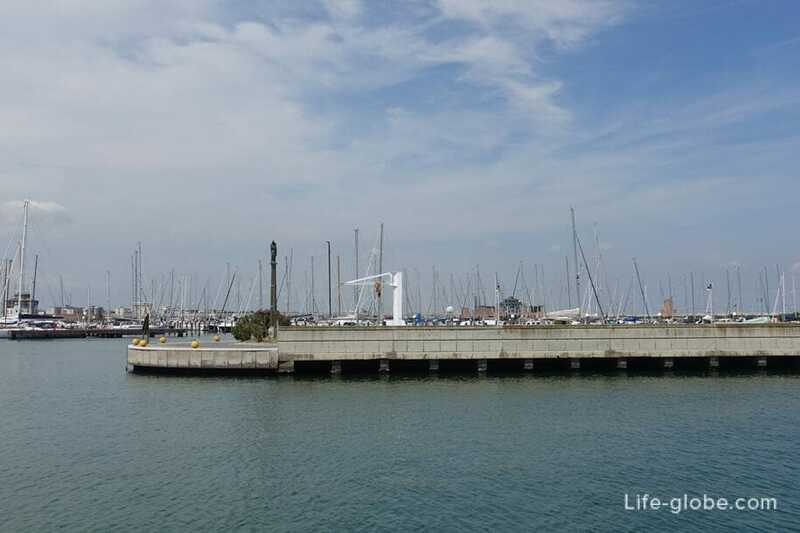 Currently, the port is not only used for its intended purpose - taking yachts, pleasure boats and small commercial vessels, but is also a place for walking and entertainment. 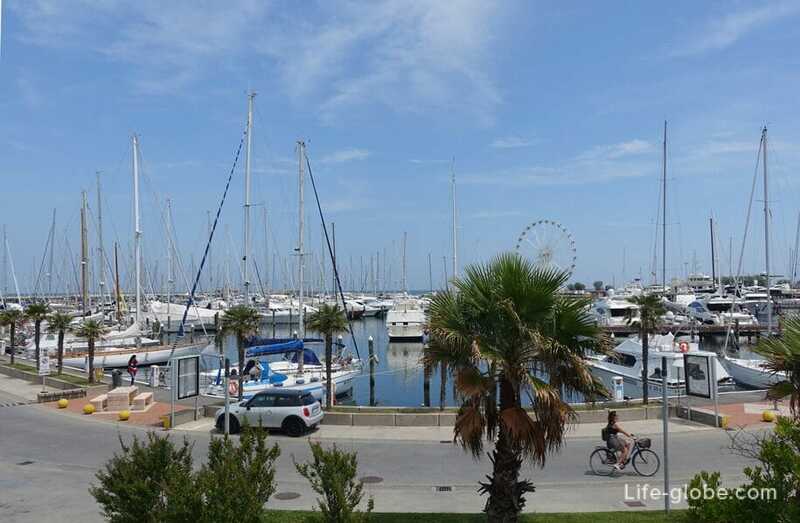 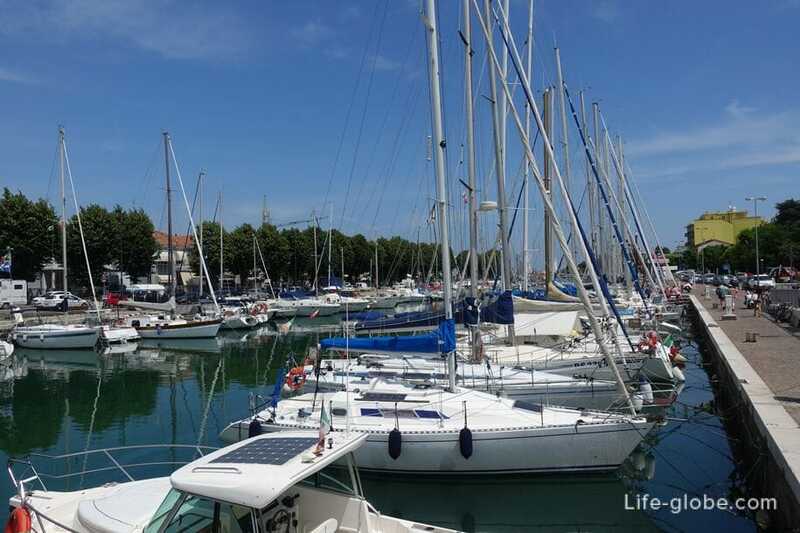 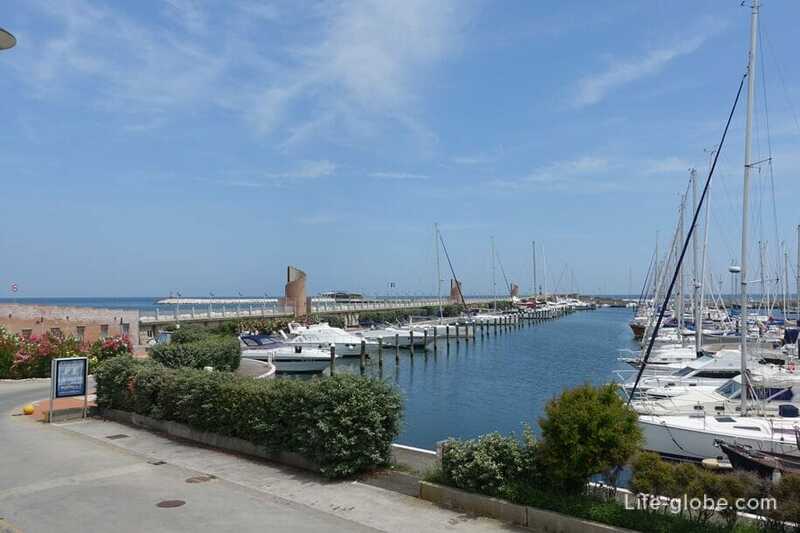 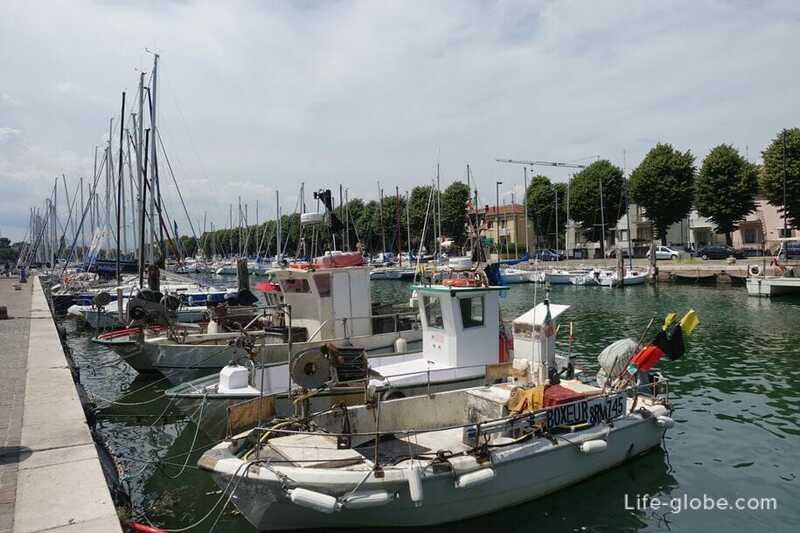 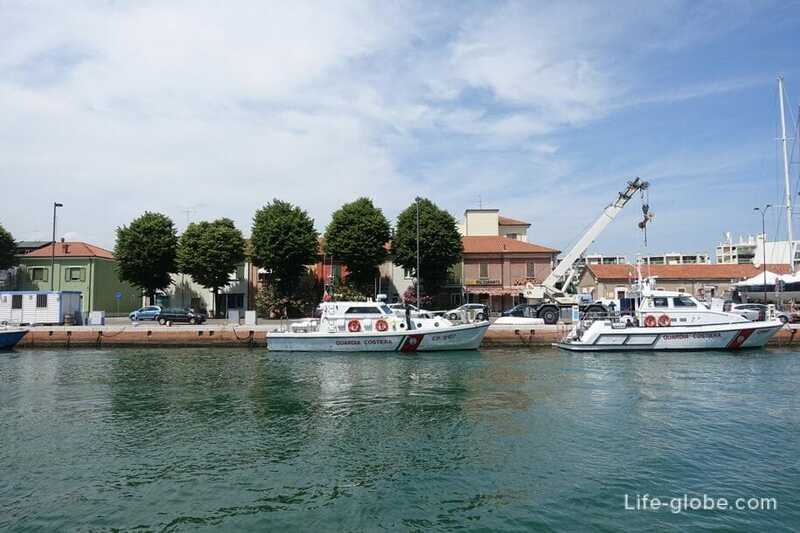 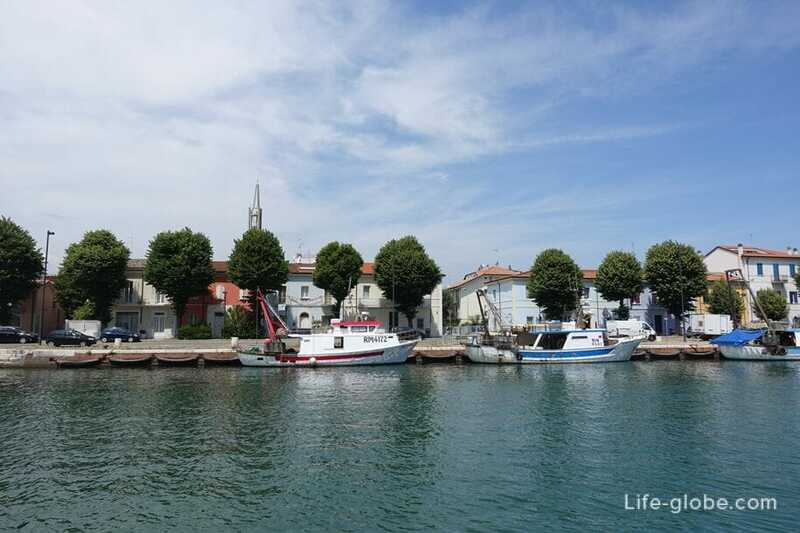 Located sea port of Rimini in the city centre, in the district San Giuliano, Rimini channel, which is connected to the Adriatic sea. 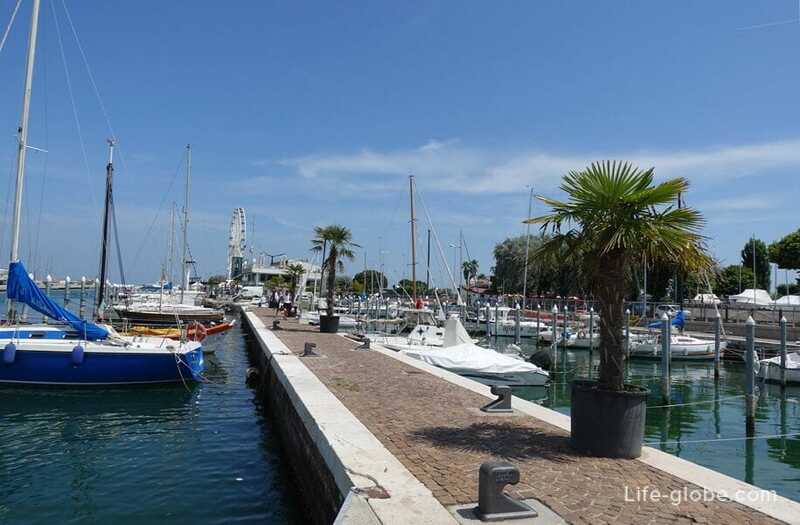 The district of San Giuliano divides the beach into South and North parts. 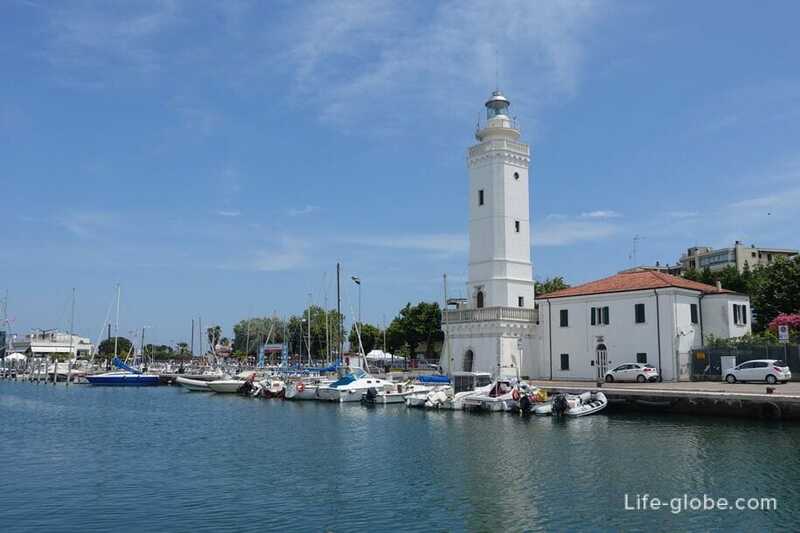 On the South side of the port is Levante pier (Molo di Levante Capitan Giulietti). 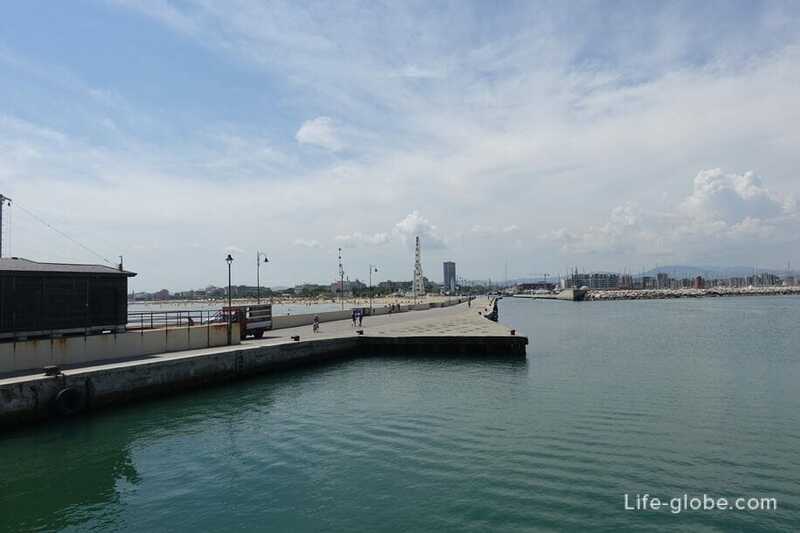 On the pier you can walk. 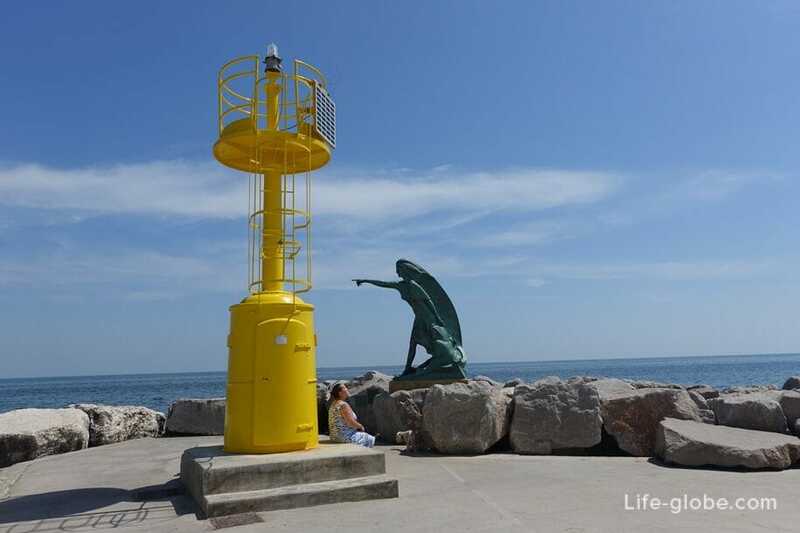 On the very nose of the pier there is a restaurant rock island Rimini and the monument to the Wives of seafarers (Monumento Alle Mogli Dei Marinai). 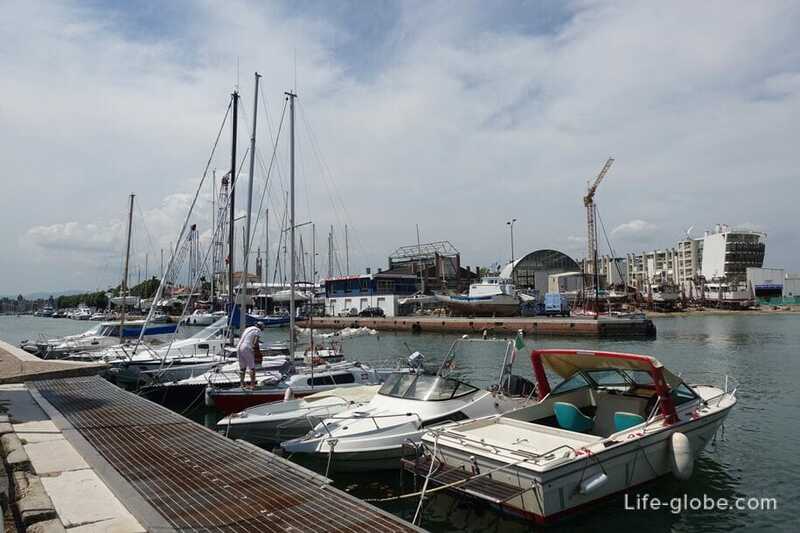 Central location in the port is a Marina (Marina di Rimini). 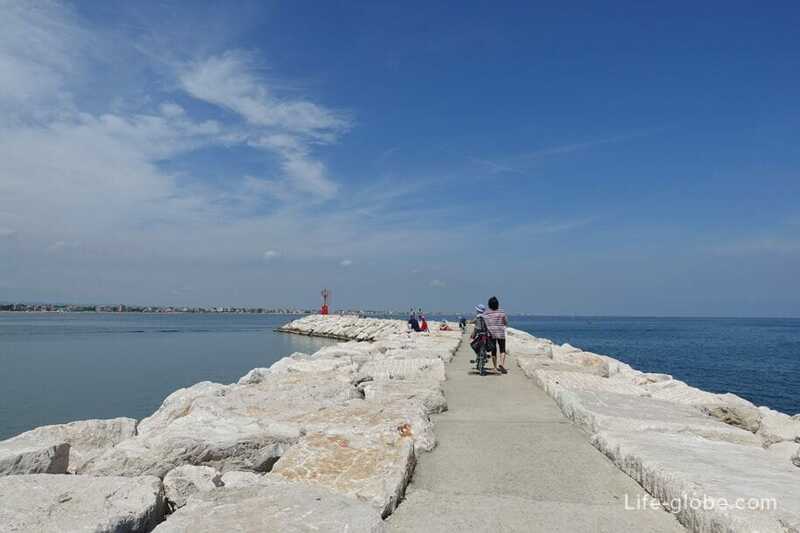 On the North side of the Marina is the pier, which offers nice views to the beach of San Giuliano. 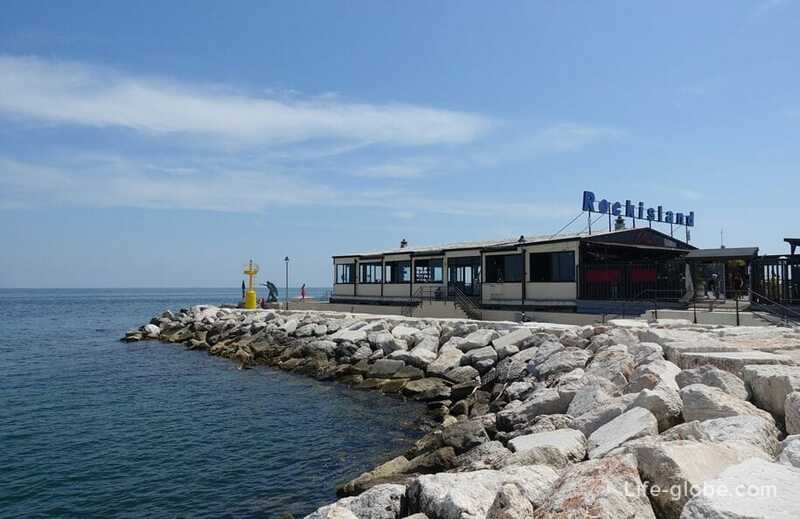 There is also a restaurant and a beach bar, and the end of the pier is decorated with Stella Del Mare. 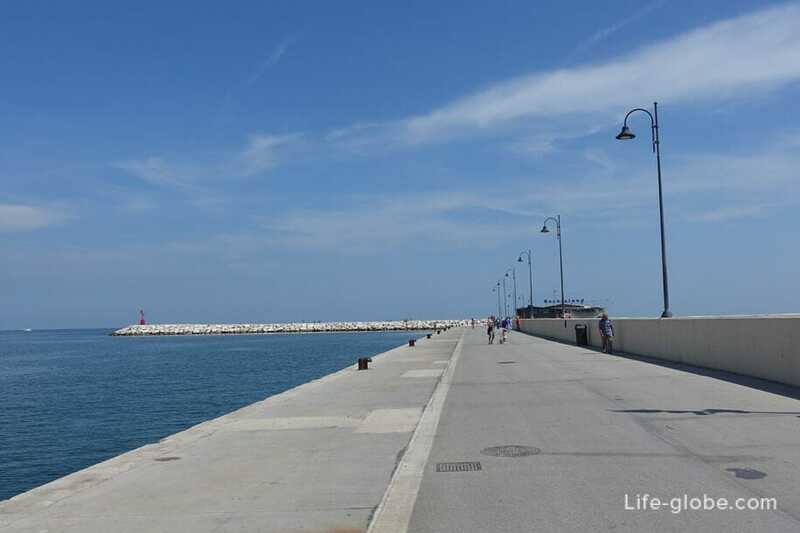 One of the nicest walking areas of Porto Canale is a street Destra del Porto, passing on the South side of the port canal and originating from the Marina. 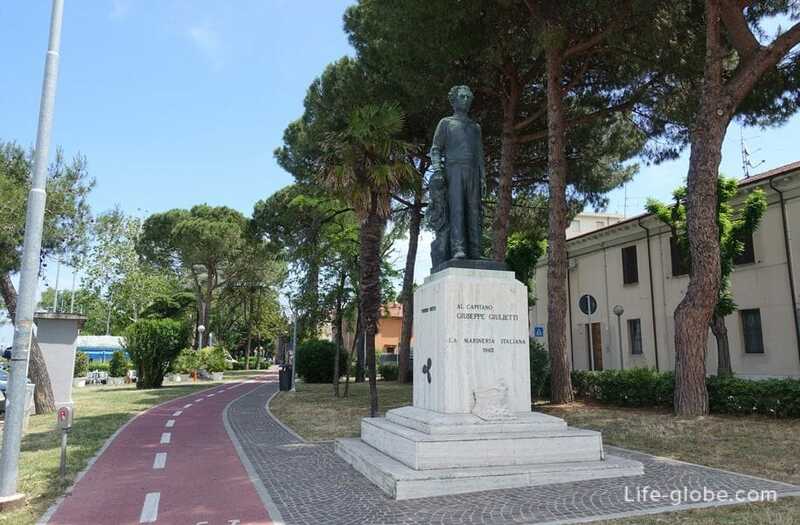 - monument to captain Giuseppe Giulietti (Al capitano Giuseppe Giulietti). 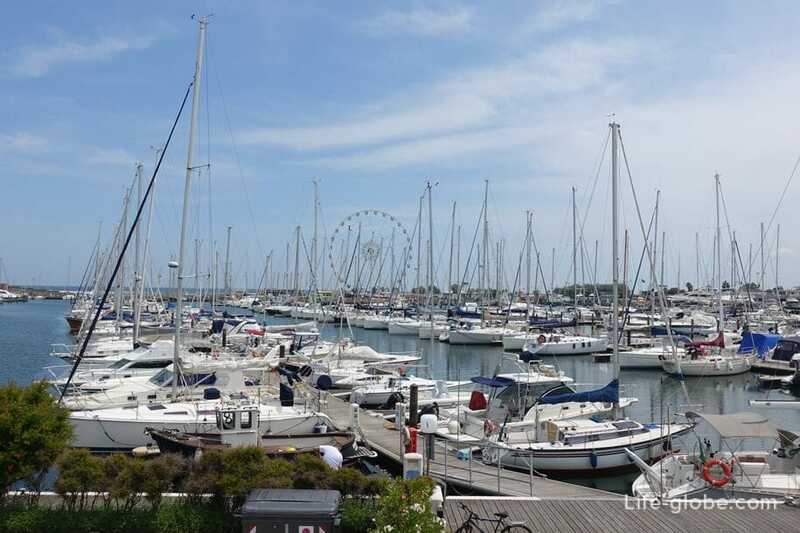 In the channel one can see numerous boats, small yachts and sailboats. 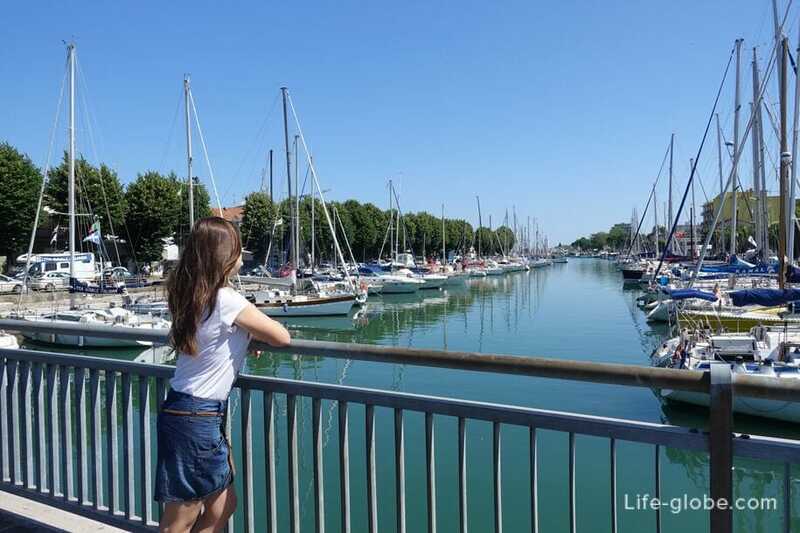 Through the channel Rimini are 4 bridges, including a railway. 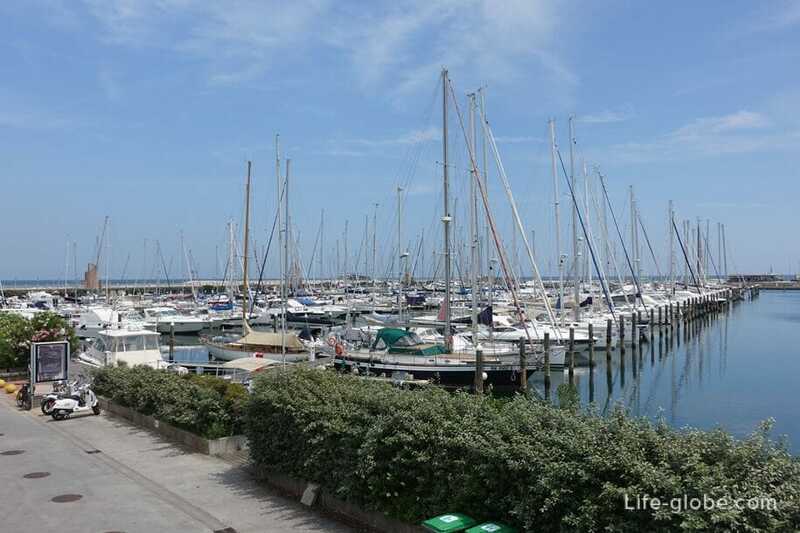 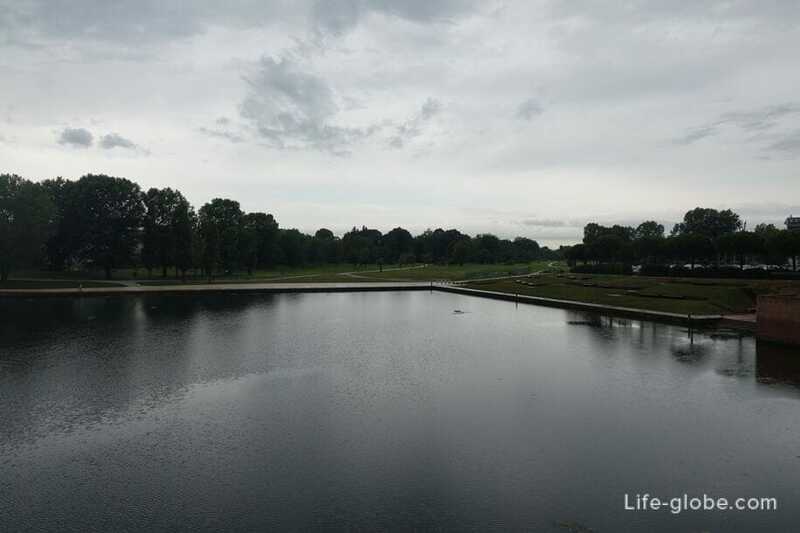 The first Marina is the most interesting, since it offers beautiful views of the canal and boats. 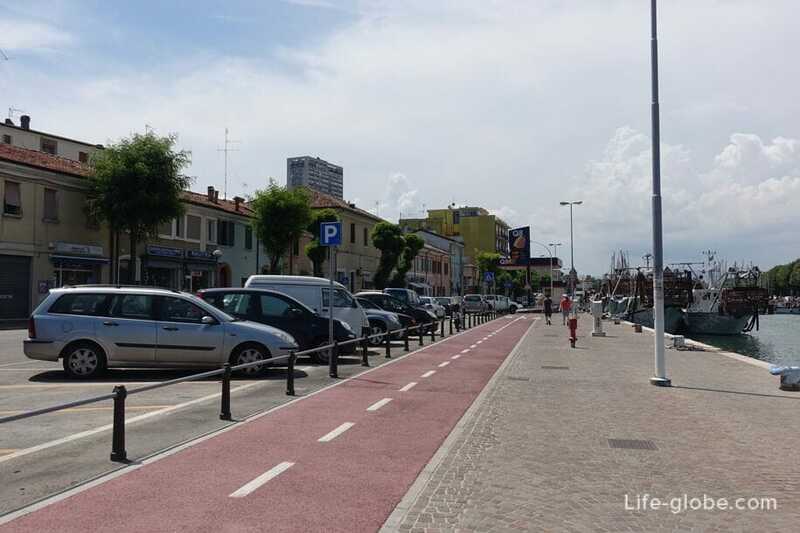 After the railway bridge street Destra del Porto blends in with the street Girolama Savonarola. 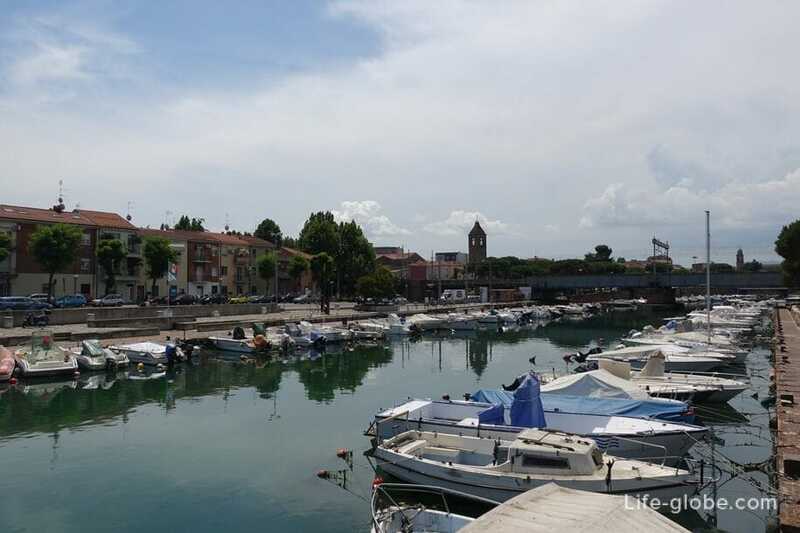 It's an older part of the canal, there are boat less, and on the North side of the canal, from the district of San Giuliano, there is a small Church Caritas Diocesana Rimini. 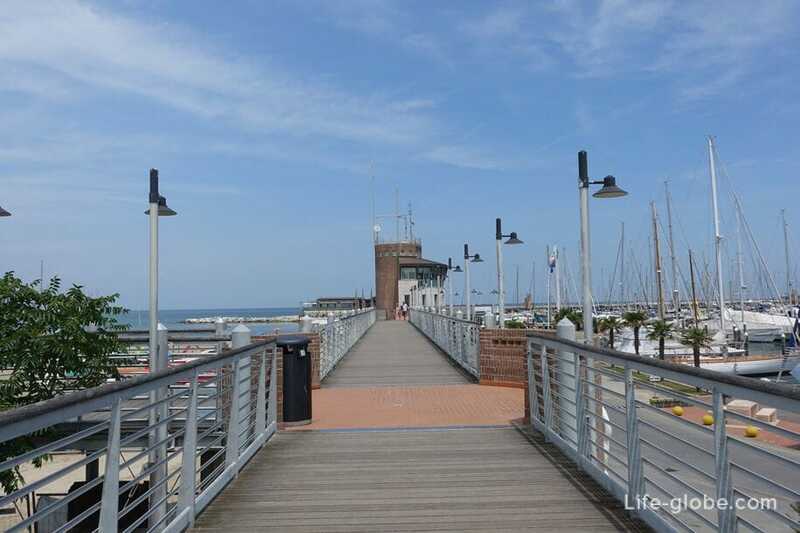 The third street bridge Girolamo Savonarola flows into the street Bastioni Settentrionali, here is one of the historical landmarks of the city - Porta Galliana - old city gate of the thirteenth century, linking the old city with the port land along the canal of Rimini. 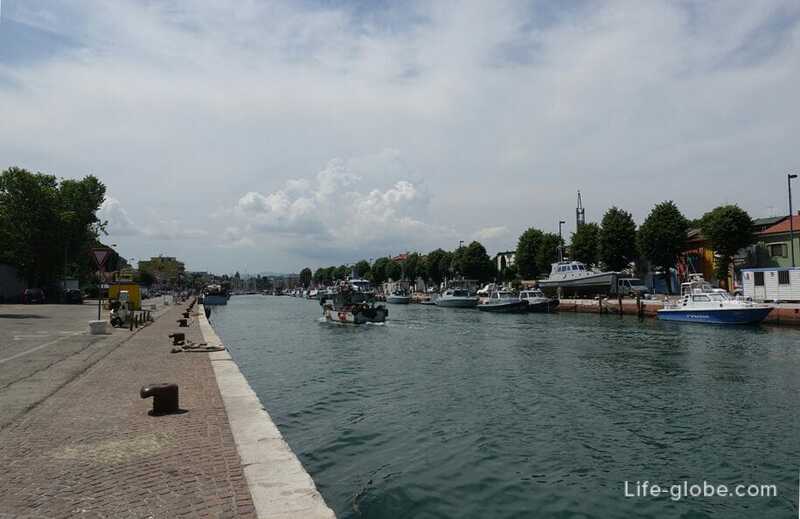 Earlier the gate was part of the defensive walls. 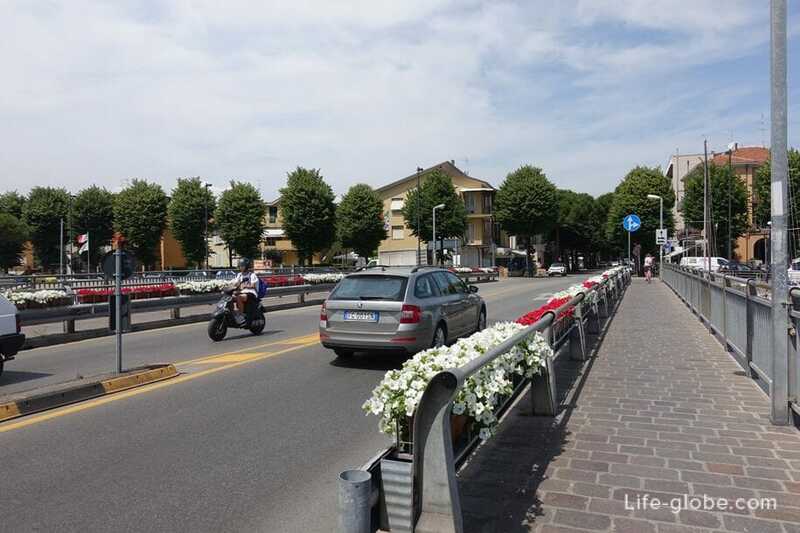 The fourth and closing the bridge is the most famous and oldest bridge of Rimini - the Tiberius Bridge (Ponte di Tiberio). 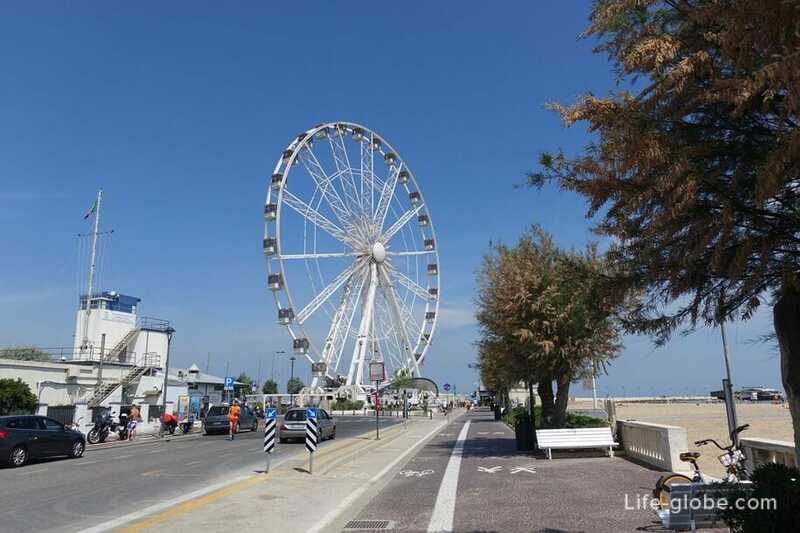 The Tiberius bridge is currently one of the visited attractions and architectural landmarks within the historic city centre. 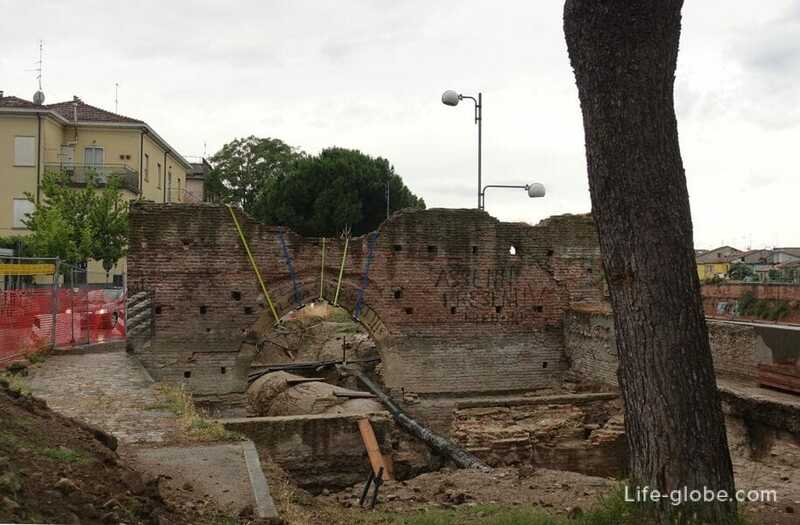 The construction of the bridge relates to the Roman period. 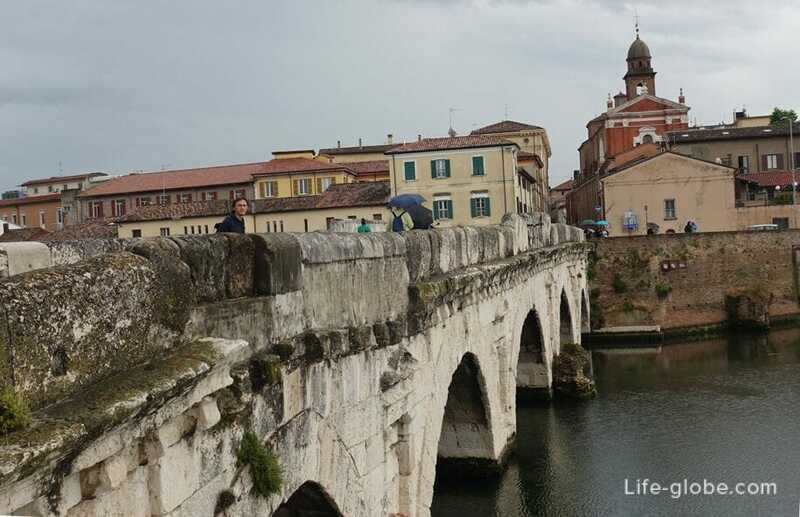 Initially, the construction work on the construction of the Tiberius bridge began during the reign of Augustus and finished in 20 years BC, during the reign of his successor, Emperor Tiberius Julius Caesar Augustus, in whose honor and named this the Roman bridge. 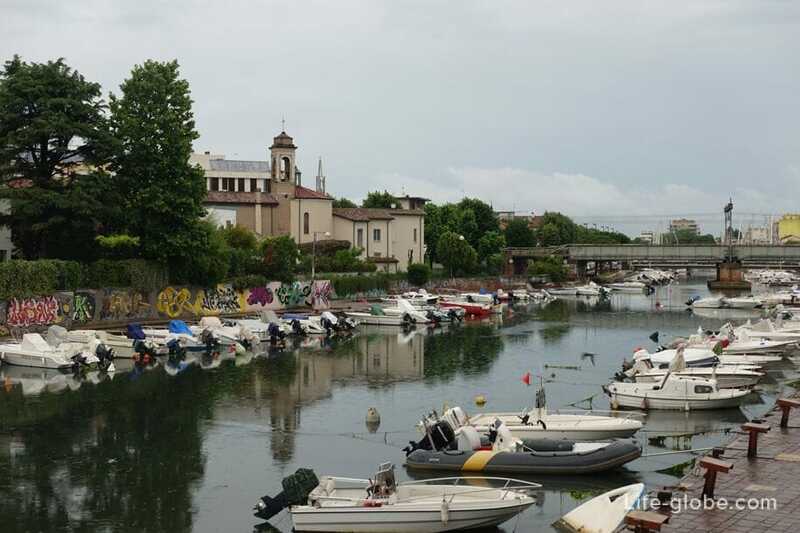 Just over the Tiberius bridge, a Park 25 APR (Parco XXV Aprile).